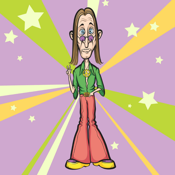 If you remember the 1960s and 70s or you are curious about this era in American history, Hippie Trivia is a fun way to recollect memorable events. Answer questions about Rock and Roll, literature, political activism and the Vietnam conflict. Hippie Trivia is a "trip" down memory lane.